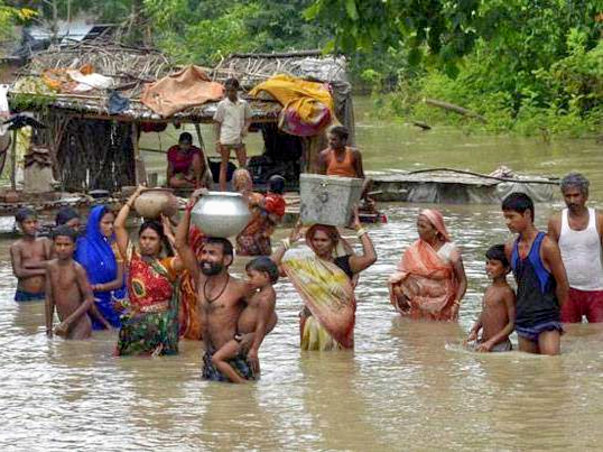 Ghanshyampur block is one of the worst affected blocks with flood in Darbhanga district of Bihar. It is located at 130 Km from Patna, the capital city of Bihar. 30 Villages of 6 Panchayats of Ghanshyampur block is badly affected with the recent flood. 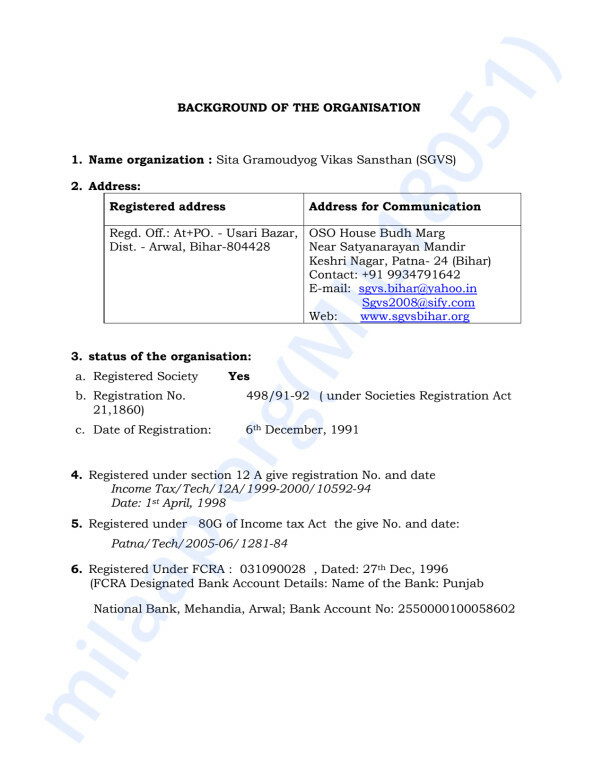 SGVS, Patna with the help of other NGOs and trained workers in Natural Disaster Management have started helping people with its limited resources, pressurizing Block health officials and PRI representatives for relief to the flood victims. Objective: To extend immediate relief packages of 250 floods affect families of 5 panchayats of Ghanshyampur block of the Darbhanga district of Bihar.